Everywhere you go, everyone you speak with, there is a growing nervousness about the possibility that this month’s governorship election in Anambra State would be undermined either through voter absence or through extraordinary violence. The anxiety is being fuelled by frequent exchange of insults by the gubernatorial candidates and their supporters. As the election date approaches, the political atmosphere in the state is filled with apocalyptic predictions. It is not only the level of interest shown by the major political parties and their supporters that has given the governorship election a note of unpredictability. The election is also seen as a test of popularity of various political parties in the state. 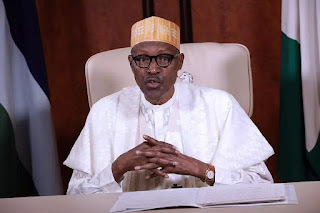 The governorship election is widely seen as a major test of how popular or infamous the government of President Muhammadu Buhari has become in the South East following rising feelings of marginalisation by the people in the region and, above all, the massacre of innocent citizens, in particular, members of the Indigenous Peoples of Biafra (IPOB), by soldiers whose mandate appeared to be to eliminate any moving object that stood on their way as they hunted the leader of IPOB and his supporters. The governorship election in Anambra State constitutes a major test for Buhari, who has not hidden his prejudices against Igbo people in the South East in his two major speeches since he returned from his long medical vacation in London. If the first address Buhari gave to the nation following his return from London was designed to show his contempt for the Igbo, his Independence Day broadcast exposed the level of bitterness he harbours in his mind against the Igbo. It would, therefore, be interesting to see whether people in the South East have forgotten so soon the insult that was heaped on the region by the Federal Government through the use of unprecedented military force to put down the agitations by IPOB. Unfortunately, not only were IPOB members razed to the ground by soldiers’ bullets, innocent citizens also lost their lives. Till date, no one in Buhari’s government has seen reason to apologise, at least, for the death of innocent citizens. In the past two months, there has been a sudden increase in the number of newspaper articles written by partisan authors who advanced reasons why their preferred candidates should win the governorship election in Anambra State. It is this unprecedented and unusually high level of interest shown by the candidates, their political parties and their supporters in the forthcoming election that gives the impression that it would be a do-or-die contest. In their campaigns, the governorship candidates have been outlining reasons (some of them designed to mislead citizens) why they should be seen as the best candidate who would improve the socio-economic conditions of ordinary citizens. Unfortunately, some of the promises made today will never be remembered or implemented after the election.